Emirates’ hub, Dubai, has emerged as the most popular destination for passengers travelling from Lahore and Islamabad. Religious travel to Jeddah, Madinah and Baghdad was also very frequent over the years while London, New York, Manchester and Birmingham were popular among leisure and business travellers. Lahore and Islamabad have also proven to be important cargo destinations for the airline in the region having recorded over 123,962 tonnes of cargo carriage in the last five years. Key exports and imports over the years include fresh fruits and vegetables, fish, meat, machinery and equipment. 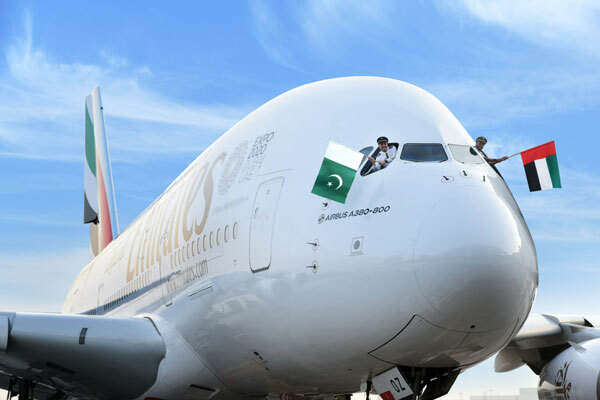 The airline continues to play an important role in fuelling trade between Pakistan and the UAE, enabling local exporters and businesses to connect to both developed and emerging markets in the airline’s network of key trade and commerce hubs.